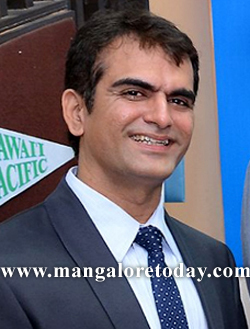 Mangaluru, Mar 01, 2015: Kanara Chamber of Commerce and industry (KCCI) president Nigam B. Vasani on Feb 28, Saturday praised the Union Budget but maintained that it was disappointing for the local industry. He lauded the reduction of corporate tax with reduction in exemptions and the firm statement on the implementation of the Goods and Services Tax from April 1. President Vasani and the president of the Canara Plastic Manufacturers Association B.A. Nazeer said that it was disappointing for the industry, especially for micro, small and medium enterprises. Nazeer said that the demand for a reduction of excise duties and increasing the excise exemption limit, due to a rise in the cost of goods and services, had not been considered. “We are on an openion that the burden on the micro, small and medium enterprises sector could have been eased,” he said. He added that this would reverse the growth of the sector which is suffering from an economic slowdown. He, however, welcomed the announcement of reduction in income tax rates. The proposal to give an option for employees regarding PF and ESI is a step in the right direction. The implementation of GST was once again postponed which would have an impact on economy. Nalin Kumar Kateel, MP, said that by taking care of concerns of many, including farmers, women, the youth and the salaried class, FM Jaitley had presented a budget with a bright future for the country. MP Kateel said that the government had shown concern for women by increasing funds under the Sukanya Samriddhi and the Nirbhaya schemes. The farmers’ concerns have been addressed by providing electricity, building markets and increasing investment in agriculture sector. The salaried class have been provided with a higher tax rebate, while laying emphasis on funding projects for improving basic facilities. The government has also increased the amount in the field of education and so on marking a fair concern for all in this first phase of BJP rule.